Obituary for Rebecca Elizabeth (Parks) Foxwell | Thomas Funeral Home P.A. 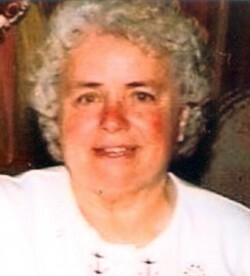 Rebecca E. Foxwell, 78, of Lakesville passed away peacefully on Wednesday, April 3, 2019 at her home with her loving family by her side. She was born in Wingate on July 10, 1940 and was a daughter of the late Albert F. (Jake) and Dora Parks. Mrs. Foxwell attended schools in Crapo and South Dorchester. On July 11, 1958, she married G. Wayne Foxwell who noticed her one day apparently in some “nice looking jeans” which led into over 60 years of marriage. In her early years, she worked with her dad on the water and later at Airpax. She loved to crochet and volunteer, but what she loved most was riding her John Deere lawnmower and cutting lawns with her husband. She was active in the community with the National Outdoor Show, fishing tournaments and the old Crapo School South Dorchester Community Center. Besides her husband, she is survived by five sons, Ricky Foxwell and wife Mary of Cambridge, Timmy Foxwell and wife Linda of Kansas, Frank Foxwell and wife Carol of Cambridge, Troy Foxwell of Annapolis, and Scott Foxwell and wife Paula of Lakesville. Mrs. Foxwell was the grandmother of 12 grandchildren, Lucas, Chad, Brandie, Audrey, Jody, Cody, Corey, Christopher, Zachery, Brieann, Jordan and Aliza and several great grandchildren. Three sisters, Rose Ruark of Church Creek, Sara Brooks of Cambridge, Carolyn Webb of Wingate and a special niece Wanda Elzey of Cambridge. Her family would like send a very special thank you to Tony and Cathy Hayden and Wayne and Sally Windsor for their love and support and to everyone at the South Dorchester Community Center mentioning Susan Windsor, Robin Simmons and Mrs. Elaine Simmons. A sincere thank you to all the staff at Coastal Hospice for their compassion and love. A funeral service will be held on Monday, April 8, 2019 at 11 am at Thomas Funeral Home, P.A. in Cambridge with Pastor Joel Beiler officiating. Interment will follow at Dorchester Memorial Park. Family will receive friends one hour prior to the service. Memorial contributions can be made to the Coastal Hospice Foundation, P.O. Box 1733, Salisbury, MD 21802.